Bingo is a very popular multi-player, number-associated game that often comes with a cash prize for the winner. You can play bingo both online and in places like schools, churches, community centers, or at home. There are a myriad of sites on the Internet that offer bingo players a chance to play in the comfort of their own home and still win great prizes. Like any other game, there are rules and tips that you may want to know before jumping into a game of bingo, especially if you have never played before. However, bingo is not at all a hard game to learn. In the following text, you will also find some tips that may help you win over your competition and get some great cash prizes. Bingo games are usually set up in one way. Whether you are on the Internet or somewhere else, you will be given a card with numbers on it in the beginning. Then, there will be another person or a machine that will pick and call numbers randomly until someone matches a diagonal row, a row across or down the card, or a row from side to side. There are certain game types that want you to make certain geometrical patterns on your bingo card to win. For example, a certain game type may be to collect numbers until they are in a diamond or triangle shape. Once you get a complete row of numbers, you can yell out bingo or ring your bingo in if you are on the Internet. When someone yells out bingo, his or her numbers are double checked by the caller or the machine serving as the caller. If their numbers do match up to a bingo, they win the cash prize or other prize and the game will start over. As you can see, bingo is a very simple game to play. Honestly, because bingo is based on chance and not skill, there are not really a lot of options of how to beat the odds. Your best chance at beating the odds during a bingo game is to play with several cards at a time, or at least as many as you can handle. Many times, you will have to pay for these extra cards to play with them, but you increase your chances to win to the point that it pays off to buy the extra cards. The traditional bingo parlors always have extra cards that people can play with, and online games have extra cards for the players as well. The seasoned veterans of this game will always have several cards to play with while games are going on. These are the players that are there to win. Of course, keeping track of all these cards is not always an easy task, especially if you are playing with a dozen or more cards. 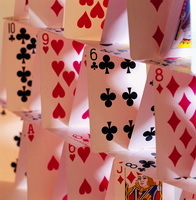 If you are not used to keeping track of this many cards, this task becomes even more challenging. The best thing about playing online is probably that it is so much easier to keep track of multiple cards. You are more than welcome to manually black out the numbers yourself, but the easiest and quickest way is to let the computer automatically black out the numbers for you as they are called. So, online, you merely have to watch your cards fill up and keep putting in money. There are some winning strategies that are similar to card counting that can be done in blackjack, but with online games it is not so easy to do this. In fact, online games do not have the same chances as real games do. 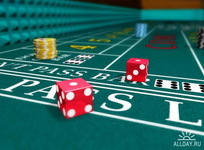 You will have to develop your own strategies for online game play if you plan on playing online often.